The sweltering summer months are already upon us. And surviving these escalating temperatures can get a little too uncomfortable. Air coolers are the easiest and most affordable way to beat this scorching heat. Along with being extremely affordable, air coolers are also environmental friendly. Additionally, they are ideal for places that are both hot and dry. However, with so many different types of air coolers, brands and products available in the market, making a choice can get confusing. Things like the size and type of cooler play a major role when you make your choice. To make your choice easier, here is a brief look at our air cooler buying guide. Our air cooler buying guide will give you an insight into the different types of air coolers, advantages and the things to consider. Take a look! Most people would prefer buying an air conditioner instead of an air cooler. However, air cooler have their own set of advantages that make them a better choice. Here’s a look at some of the advantages of owning an air cooler. The very first advantage of opting for an air cooler is that they are economical and cost-effective. It is easy to find high-quality air coolers below 7000. 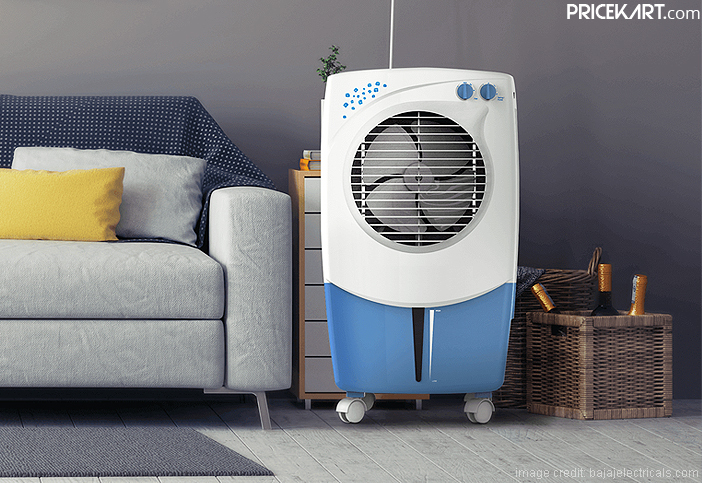 On the other hand, a basic air conditioner will cost you more than Rs 30,000. They offer fresh air – air coolers provide air with the help of cool water. This is more natural and safe for your health. They are eco-friendly and do not cause any harmful effect on the surrounding environment. Another major advantage of air coolers is that they are portable. You can easily move the air cooler from one room to another without any hassle. Air coolers are available in 5 different types. Every type of air cooler comes with different features and functionality. To give you a better understanding of how every air cooler works and which one you should pick, here are the different types of air coolers available in the market. 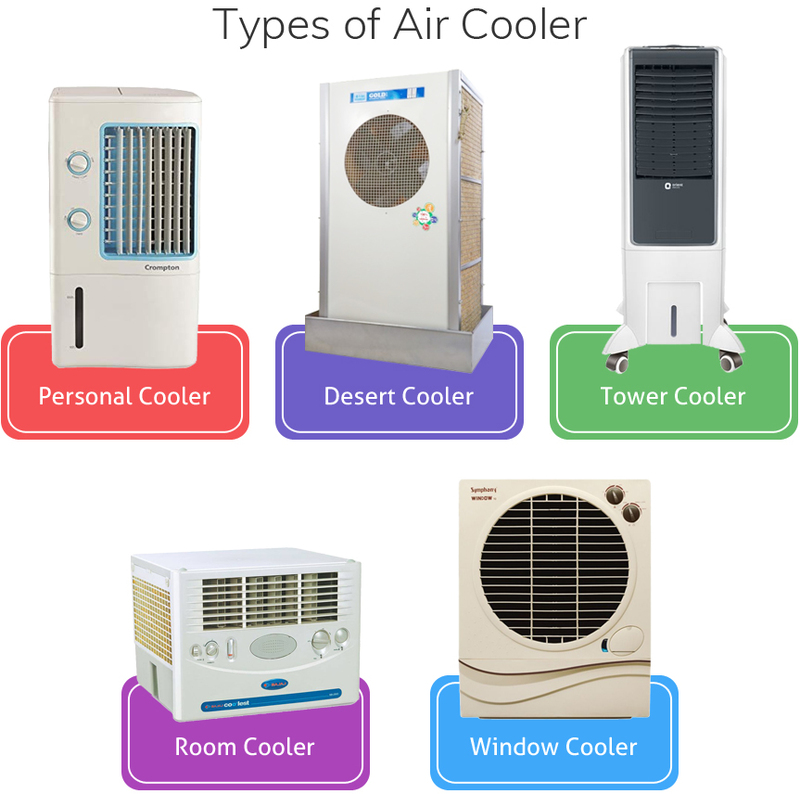 Once you have understood the different available types of air coolers in India, it becomes easier to make a choice. After picking the air cooler that is suitable for you, here are some of the aspects that you need to consider. Deciding on the water tank capacity is the most crucial task while buying an air cooler. The air cooler capacity is usually decided based on the size of your room. To make things simpler, here is the ideal capacity based on the size of a room. 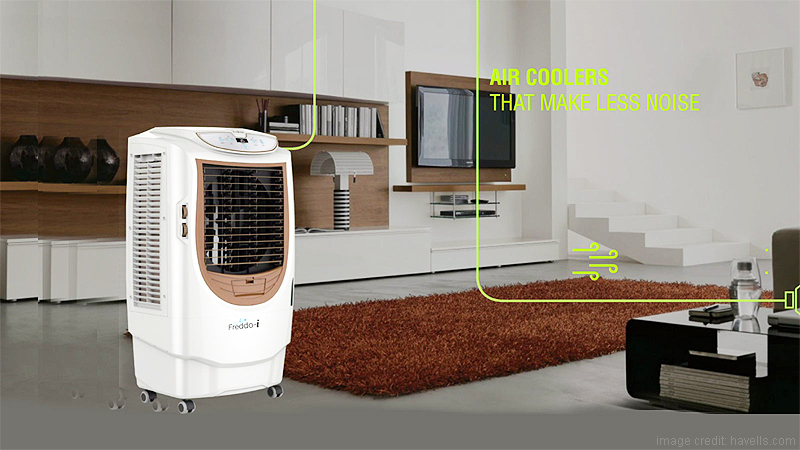 All the latest air coolers come built with cooling pads which plays a major role in cooling the air. These cooling pads are usually attached to the sides. There are currently two cooling pads that you can pick from – Honeycomb cooling pads and Aspen wood wool cooling pads. 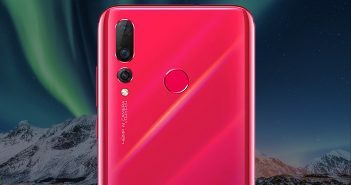 Here’s what is different between these two. And the final point on our air cooler buying guide is choosing the brand. After deciding on the type and size the final thing to do is – pick a brand. 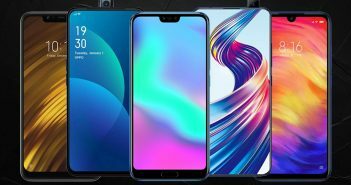 There are various high-end brands in the market that you will have to choose from. 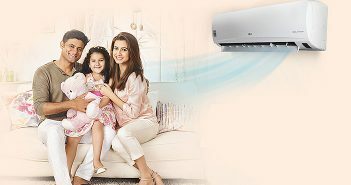 Havells air coolers and Voltas air coolers are some of the best products in the market. 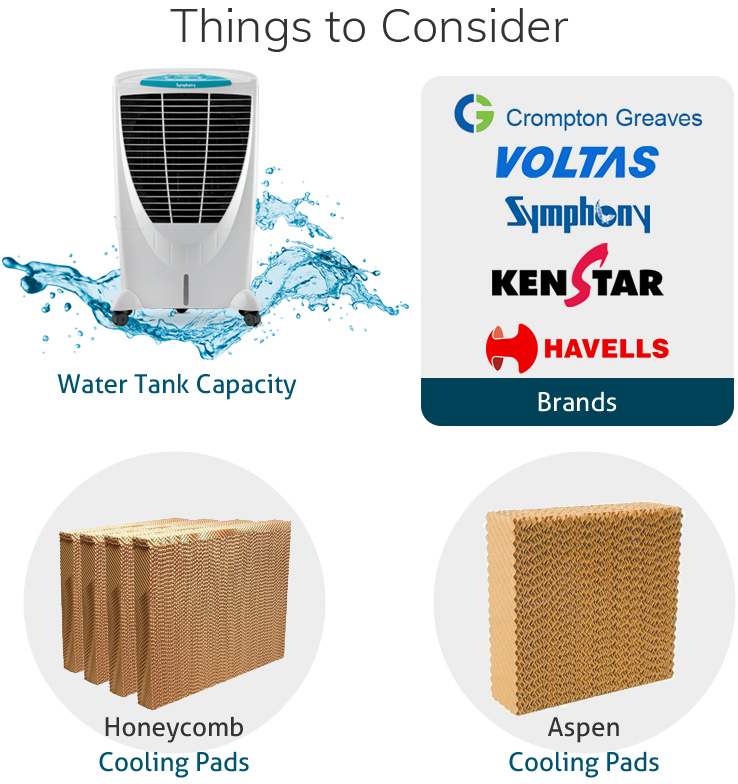 Additionally, there are companies like Crompton Greaves, Voltas, Symphony, Kenstar and Havells that offer air coolers in all types and sizes.